10:00 - 17:00, Monday - Saturday. 11:00 - 17:00 Sunday. Originally commissioned as an off-site project for this year's Venice Biennale by Tyneside Cinema, Object Cinema is a new work by Darren Banks reflecting on the idea of The Lost Art of the Film Poster. The resulting artwork is a reflection on the life cycle of an idea and its many material and immaterial filmic forms. Part of The Lost Art of the Film Poster, an ongoing curatorial project initiated by Tyneside Cinema's Arts Programme, and inspired by Who Goes There?, a short story written in 1932 by John W. Campbell about the discovery of an unknown being under the Antarctic ice, Object Cinema is a moving sculpture, and a film without beginning and end. Who Goes There? 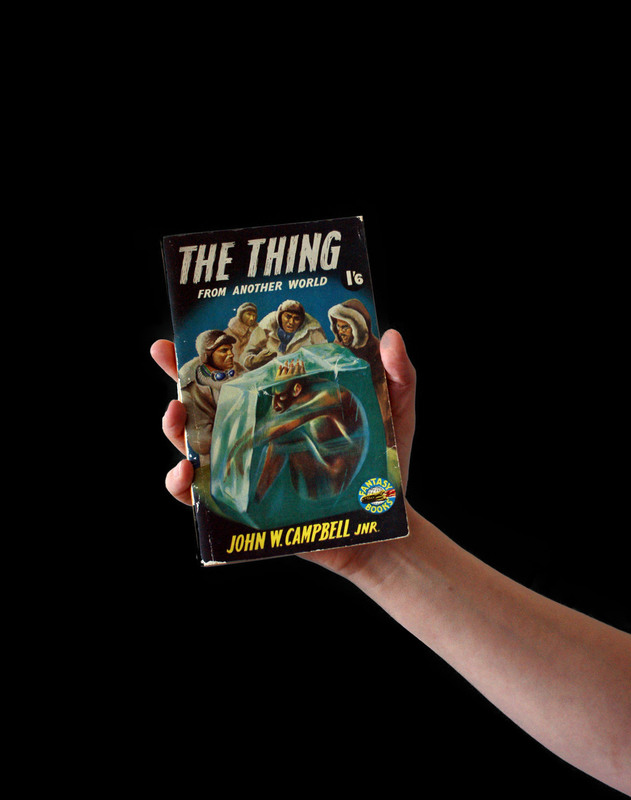 was first printed in a magazine before being published as a short story, and has since inspired several feature film versions in the science fiction horror genre, called The Thing. In Object Cinema, the content of the story becomes a 'Thing' itself, morphing from one format to another, linking media from the original films. Banks is interested is in how the physical words vanish, and later resurface as immaterial data flow, moving from the written page, then captured in celluloid, tape and digital code, and ultimately circulated globally online.